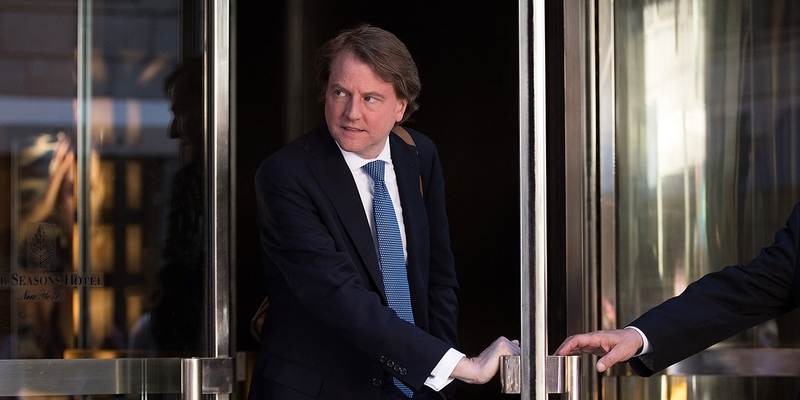 Don McGahn, soon to be Donald Trump’s White House counsel, bears as much responsibility as any single person for turning America’s campaign finance system into something akin to a gigantic, clogged septic tank. From 2008 to 2013, McGahn was one of the six members of the Federal Election Commission, the government agency in charge of civil enforcement of campaign finance laws. While there, he led a GOP campaign that essentially ground enforcement of election laws to a halt. McGahn’s perspective manifested itself consistently at the FEC. Previously, when the agency received outside complaints alleging violations of the law, its general counsel’s office was responsible for conducting a preliminary examination of the issues and then making a recommendation to the commission members about the legal issues involved and whether to proceed with a full investigation.